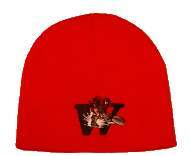 Black Hockey Roots of Nova Scotia: As the Mi’kmaq carvers of Nova Scotia first gathered both hornbeam and yellow birch trees from which to fashion sticks for Ice Hockey, they called them “hockey roots”. 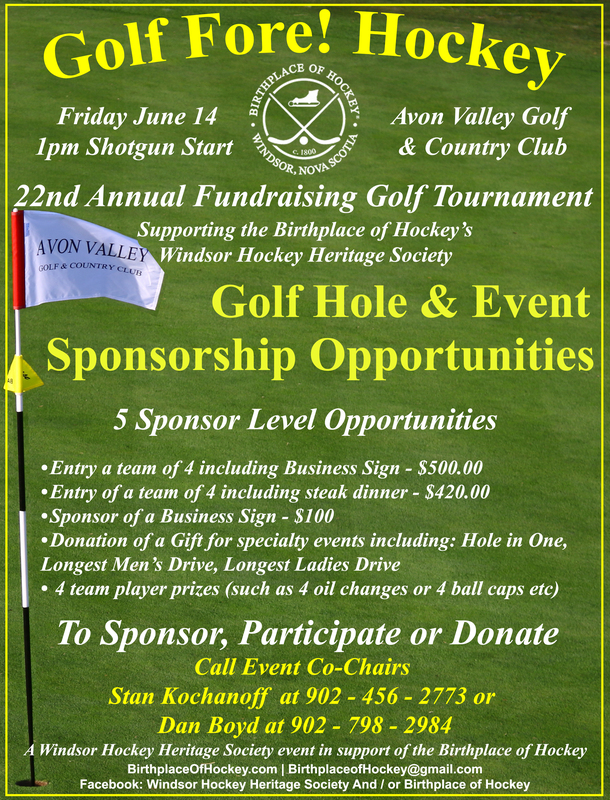 There is no doubt that the “roots” of the very game of Ice Hockey lie within Nova Scotia, and the deepest of those roots lies in Windsor. Unfortunately, the roots of the problem of segregation of African Canadians from Ice Hockey also lie within Nova Scotia – but then again, so do the roots of integration. Racism is a learned behavior. It is much easier to prevent than to overcome. The secret to prevention lies in proper respect for people in general. Respect is a natural phenomenon with children that can be reinforced by caring adults. 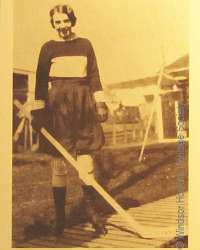 Research shows that the first indications of integration of Black players onto adult white hockey teams started in Windsor, Nova Scotia and began on the basis of “respect”. The Paris family of Windsor agree with this theory for they were at the centre of the process and have played a vital part in the major contributions made to Ice Hockey by Maritime African Canadians in subsequent years. The Desire to Play: It is generally understood that unless one begins to skate and to play Ice Hockey in childhood, he or she never becomes good at either. Therefore, when Black men began playing good, competitive games in public rinks in the Maritimes in 1895, it is a given that they had been involved in both for a decade or more. Maritime Black Population: The first Black settlers in Nova Scotia arrived from Africa in 1741, followed by Black United Empire Loyalists in 1763 and others after the War of 1812. By 1890, the Black population was 6000. Of these, 4000 lived in segregated neighborhoods of the Halifax/Dartmouth area and fringe communities of Africville, Preston and Hammond’s Plains. Communities of 100 or so existed in other towns. Only 165 Blacks lived on Prince Edward Island in a community known as The Bog in Charlottetown’s West End. Overcoming: Since segregation prevented Blacks from playing hockey with white teams, they created their own. Since white teams refused to accept challenges to play, Blacks played contests with each other and seven teams existed in the Maritimes by 1900. 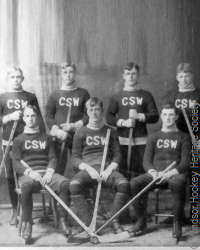 They referred to the themselves as ‘The Colored League”, as they played for “The Colored Hockey Championship of the Maritimes”. Three teams chose names out of respect for the monarchy like the Dartmouth Jubilees, Amherst Royals and Truro Victorias. Others were the Halifax Eurekas, Africville Seasides, and Hammond’s Plains Mossbacks. 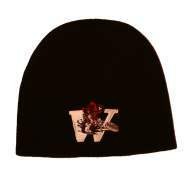 Prince Edward Island’s only team was Charlottetown’s West End Rangers. New Brunswick had a significant Black population in the Saint John area but did not enter a team into competition. Cape Breton had a small Black population of men who came from Alabama (three train car loads) to work in coal mining. They would have had no knowledge of skating or Ice Hockey. 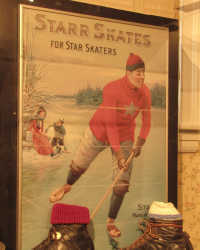 Getting Started: Poverty made it difficult for Black parents to feed and clothe their families, let alone afford skates for young men to play Ice Hockey. 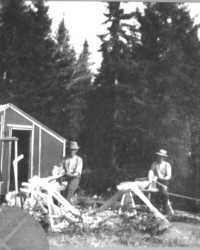 Sticks were easily accessed as Black craftsmen made and sold them at the local market along with native Mi’kmaq carvers. Considering the level of poverty, discrimination, and segregation, it’s a wonder that any Blacks got to skate or to play Ice Hockey. However, their desire to play transcended the cultural difficulties which otherwise denied them. Many frozen ponds were available for games in the Halifax/Dartmouth area while “Government Pond” at “The Bog” was the favorite site for The West End Rangers of Charlottetown. Players developed competitive skills by a team of fathers playing a team of sons. In that era, teams consisted of a spare and seven players who played the entire game, so that in all, the seven Maritime teams consisted of some 56 players. Their story is important to record as an important part of our hockey heritage – the development and romance of the game. 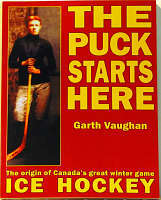 Game Time and Travel: Although players and the press often referred to the Colored Hockey “League”, there was no “league” in the conventional sense of the term for there was no set schedule of games, nor could there be, for Mother Nature was in complete control of natural-ice conditions. Games were arranged by letter of invitation or by a notice of a “challenge match” placed in a newspaper. This was subject to a response, as well as to the availability of a rink. Since white teams pre-booked ice time in the coldest part of the season, most Black encounters took place in late February and early March, on slow, soft, often wet ice when white teams were finished for the season. There were no cars at the time, and travel between towns was by railway – Cape Breton and P.E.I. were reached by ferry. Acceptance: While regular games by white teams brought crowds of 200-300, Black games attracted up to 1200 mainly white fans. The caliber of play was fairly well documented, considering that journalists were only beginning to formulate terms for reporting hockey games. Hard-fought games with exciting end-to-end rushes, frequent on-ice skirmishes, and marked team-rivalry made for happy fans. Rink owners recognized the financial opportunity and promoted games with prominent newspaper ads. Accomplishments: Entertainment at Black encounters was the name of the game for fans and players alike. A race between the fastest players of each team preceded games, and the ten minute intermission between the two thirty-minute periods, was filled with acrobatics and circus-like comedy at high speed. The Black Communities of P.E.I., Truro and New Glasgow also had their own brass bands which performed before games and between periods late into the 1920s. Goal Tender Goes To Ice: A general rule of hockey in the early 1900s required the Goal Tender to remain upright for the entire game. He used ordinary gloves, cricket pads and the same type stick as other players, because the wider “goal stick” was not yet in common use. Black teams were first to allow their Goal Tenders to go to ice, a practice not allowed in games elsewhere until the formation of the NHL in 1917. 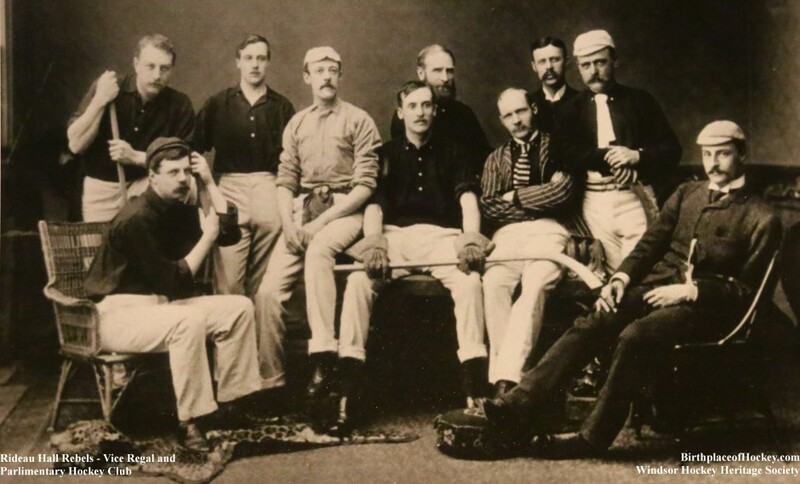 Social Aspects: Following each game, a social event took place featuring a banquet provided by the host club and a cordial invitation by the visitors for a return match. Turkey and Goose Dinners, and camaraderie amongst players were mentioned in newspaper accounts. Play-off matches at the end of the season to decide the annual championship team were often the only games played. 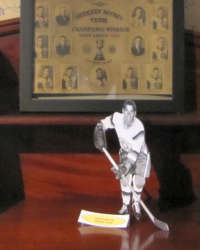 No trophy was available for recognition – merely the title, “Colored Hockey Championship of The Maritimes”, which, probably also meant “Colored Hockey Championship of the World”! Criticism: While large crowds indicated general acceptance, newspaper accounts document that verbal abuse flourished with both crowds and journalists. Reporters were racist in attitude in the first couple of years, more respectful for a few years, and then reverted to racist reporting for a short while – finally ignoring Black games. There is nothing to gain by printing the epithets used, nevertheless, all common ones and some never imagined, appeared in the Maritime press. Three Decades of Black Hockeyists: The relative popularity of Black teams in hockey in the Halifax area was short lived, between 1900 and 1914. In 1906, The Acadian Recorder reported that the games were not as interesting or as popular as previously, with only about 100 mostly Black people attending. Meanwhile, white teams did not play Black teams nor did Black players get to play on white teams. As activity subsided in the Halifax area, new teams were formed elsewhere and in 1920 as the Truro “SHIEKS” beat the New Glasgow “SPEEDBOYS” to capture the “Colored Hockey Championship”. In 1921, the P.E.I. West End Rangers defeated the New Glasgow “ROVERS” and retained the Championship for two years. Those three teams continued the tradition until 1928. Overview of Integration: Games between Afro-Canadians which began in Nova Scotia in 1895 were also the beginning of the struggle for Blacks everywhere to be accepted in Canada’s National Winter Sport. The gradually increasing level of respect for certain Black families in small towns appears to have played a significant role in this integration as Black players eventually got to play on white teams in the late 1930s. In Windsor, the Paris and Jackson families lived within town limits through the 1920s and the children attended the public school. John “Buster” Paris and Percy Jackson first played pond hockey with young white friends, followed by junior high school intermural hockey. They went on to play in the Annapolis Valley High School Hockey League as members of otherwise white teams. In 1937, Buster was the only Black player in the Windsor Senior Town League. In nearby Wolfville, during the 1930s, Mr. Clifford Oliver was a respected employee of Acadia University. His family members were well accepted in Wolfville at church and school where the children were high achievers. 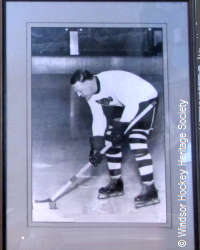 When Clifford’s son William “Billy” Oliver attended Acadia University, he played in the Acadia “College Band”, played on the water polo team and was a forward on the 1934 Acadia Hockey Team. The Dorrington and Byard families followed a similar course in Truro. Art and Doug Dorrington played for the Truro Sheiks all Black team and went on to play for a white team, the Stellarton Royals in the APC League in the 1949-50 series. Art went to the New Haven Night Hawks and the Boston Americans before retiring from Ice Hockey to become a Sheriff in Alabama. In the 1950s-60s, Buster Paris’s children had become outstanding athletes and key players in the newly formed Windsor Minor Sports Program. Meanwhile, in the nearby rural community of Five Mile Plains there was a segregated Black school, and none of those children got to play with a white hockey team. 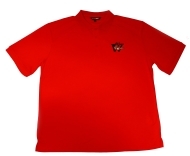 When the children reached high school age, they transferred to the Windsor Academy, and thus became integrated into the white school system, but, not having achieved early hockey skills, they still did not get to play on white teams. Wider Acceptance: Maritime African Canadian hockey players gradually became integrated onto white teams. Manny MacIntyre of Devon, N.B. played on the incredible Sherbrooke Saints all-Black line in Quebec during the 1950s along with Herbie and Ossie Carnegie of Ontario, one of the greatest lines ever to play Ice Hockey in Canada. 1960- John Paris Jr. was playing for Windsor Royals Midget team when scouted by Scotty Bowman and taken to Quebec to play and later coach in Quebec Hockey Leagues and scout for the NHL. In 1964, John’s brother Percy played for King’s College School in Windsor as the team won the Nova Scotia Headmaster’s League Championship for the first time ever. 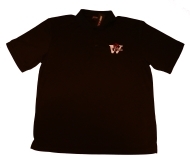 He played on an all-Black line for Saint Marys University with Robert “Bob” Dawson of Dartmouth, N.S. and Darrel Maxwell (Chook Maxwell’s younger brother) of Truro, N.S., a noted baseball and hockey player who was scouted by Punch Imlach along with Willie O’Ree of Frederickton to the Boston Bruins organization in 1955, and played in the WHL and the IHL for a decade. Willie O’Ree was accepted as first Black player in NHL for Boston Bruins in 1957. Mike Paris, son of John Paris Sr. played with brothers John and Percy in Windsor, N.S. Minor Hockey Program in the 1960s. Two decades followed before another Black player was admitted to the NHL. Bill Riley of Amherst joined the Washington Capitals of the NHL in 1974-1980. Eldon “Pokey” Reddick of Halifax became the first Black Goalie in the NHL when he joined the Winnipeg Jets in 1986, moving to the Edmonton Oilers from 1988-91. 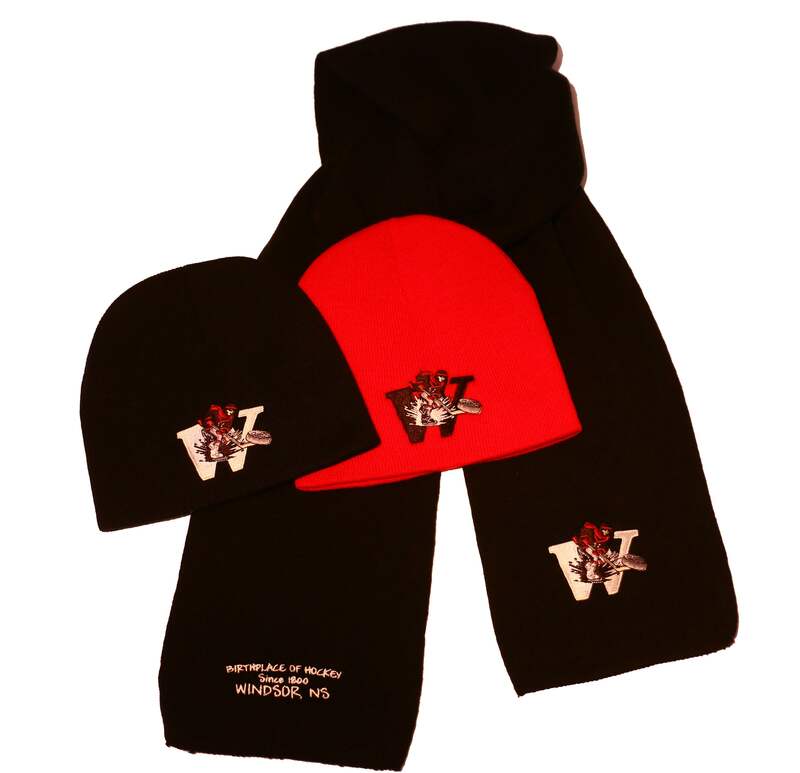 Then in 1994 John Paris Jr. of Windsor, Nova Scotia become the first Black coach in professional hockey with the Atlanta Knights, leading the team to the IHA Championship. 2001 March 3, 2001 John “Buster” Paris was inducted into the Birthplace of Hockey Hall of Fame as a “Builder”. There is an old adage which says “Walk a mile in another man’s shoes to know what life is like for him.” I fear we’d have to skate a long time on old-fashioned Starr Skates to know what life was like for the hockeyists in the “Colored Hockey Championship of the Maritimes”, as well as all African Canadian players who have followed their lead.